Did you know banks charge their customers for non-financial transactions like checking balance and accessing mini-statements as well. 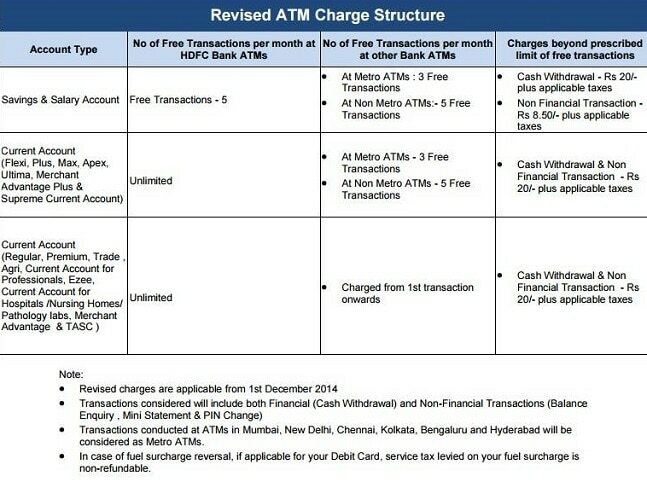 #1 Note the last column, where the bank elucidates the charges it intends to levy on transactions “beyond prescribed limit of free transactions”. 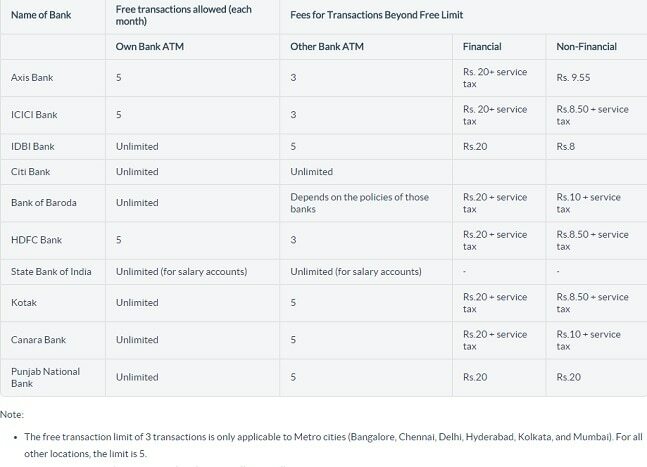 For savings and salary account holders, cash withdrawal carries and additional charge of Rs 20 and “non-financial transactions” carry a charge of Rs 8.50. #2 In its footnote, the bank explains that “non-financial transactions” basically include balance enquiry, mini statement and PIN change. #3 Also, note that the “5 free transactions” don’t simply mean cash withdrawals — they include these non-financial transactions. Which basically means, that if you check your balance and mini-statement once a month and also change your PIN you are only left with two cash withdrawals free of any additional charges. #4 The levies are not the final amount. Any applicable taxes will also be added to this amount. Banks, including HDFC Bank, ICICI Bank and Axis Bank, announced on Monday that they will resume levying a minimum charge of Rs 150 per transaction for cash deposits and withdrawals beyond four free transactions in a month. Chhavi Rajawat an Extraordinary Woman Who Gave Up Everything For Betterment Of Poor.